Caddo Sheriff Steve Prator announced the promotion of Doug Smith to sergeant today in a ceremony at the Re-Entry Facility on Forum Drive. The Sheriff also recognized several employees for their years of service. Smith is a 16-year deputy who has worked in Corrections, Patrol, and Detectives. 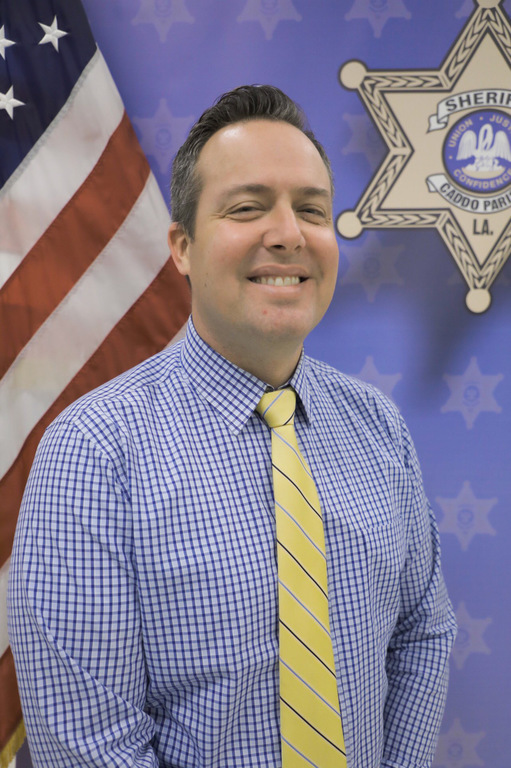 He was a Field Training Officer on Patrol, has served on the Caddo-Shreveport Financial Crimes Task Force, and is part of the FBI Cyber Crimes Task Force. With his promotion, Smith will head up a new Cyber Crimes Unit within the Sheriff’s Office. Employees recognized for their years of service during today’s ceremony were: Haley Harp, Alisha House, and Rufus Porter, Jr., five years; Nekiesha Hudson and Talitha Vega, 15 years; Disha Darby, 20 years; and Rickey Anderson, Marlin Marshall, Cassandra Patterson, Sharon Piggs, and Charles Schule, Jr., twenty-five years.